This quick and easy Pesto with Pecorino Cheese recipe is absolutely bursting with fresh herby flavour and the saltiness of pecorino cheese. 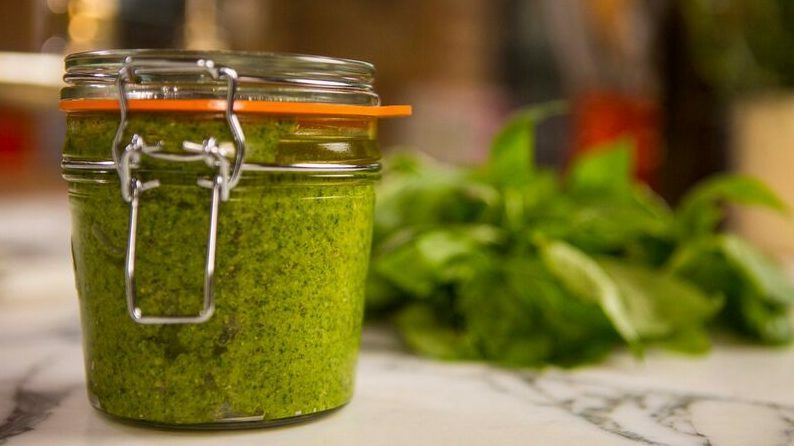 You can never go wrong with a Pesto, it is super versatile and keeps well in the fridge. Put a spoon into your soups or simply spread on toast. TRANSFER to a sterilized jar and top with olive oil.